Living in the aftermath of the Event means that seeing the dead is now a part of life, but Veronica wishes that the ghosts would just move on. Instead, the ghosts aren't disappearing-they're gaining power. When Veronica and her friend, Kirk, decide to investigate why, they stumble upon a more sinister plot than they ever could have imagined. One of Veronica's high school teachers is crippled by the fact that his dead daughter has never returned as a ghost, and he's haunted by the possibility that she's waiting to reappear within a fresh body. Veronica seems like the perfect host. And even if he's wrong, what's the harm in creating one more ghost? This was really an interesting little read. Not too heavy, but still heavy enough to be incredibly engaging. 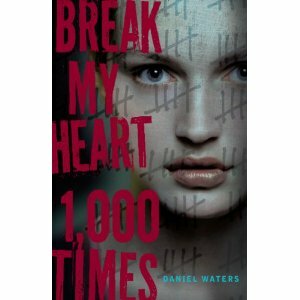 The characters are very well done (as I'd expect from Daniel Waters), and I found myself drawn to them. I really got Janine's backstory and liked her all the more for it (even with as small a role as her supporting character played). There's plenty of suspense mixed into the paranormal feel of this book. It's fairly easy, early on, to determine what may well happen at the climax, but there are still questions left unanswered and twists you won't expect when you get there. There's a little heartbreak and sadness as well, leaving you running a small gamut of emotions, and satisfied at the end. Disclosure of Material Connection: I received this ebook galley from Disney-Hyperion through the netGalley publisher/reader connection program. I was not required to write a positive review. The opinions I have expressed are my own.